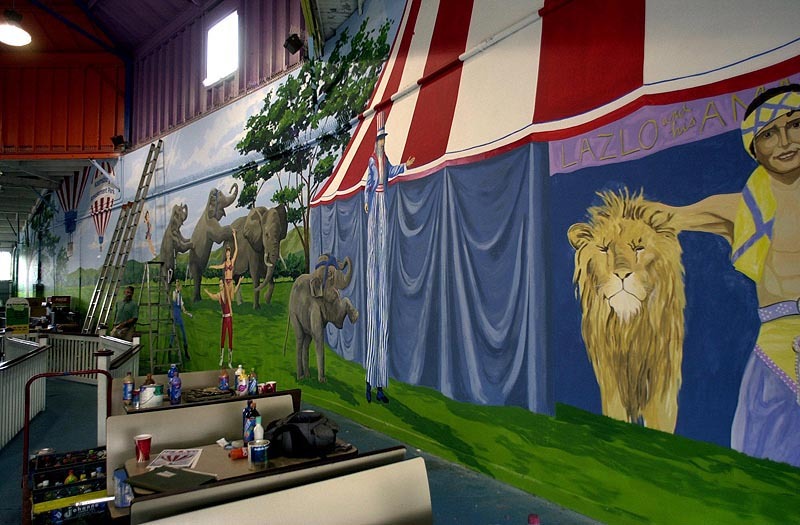 This is the largest mural we have done, 17' high and 100' long. It's at the Keansburg Amusement Park in Keansburg, NJ in the carousel house. For more on the Amusement Park click here. To see the rest of the mural click here.